Faxing from your iPhone is now as easy as 1, 2, 3! A little company called eFax.com exists to help you receive and send faxes from your computer/laptop. 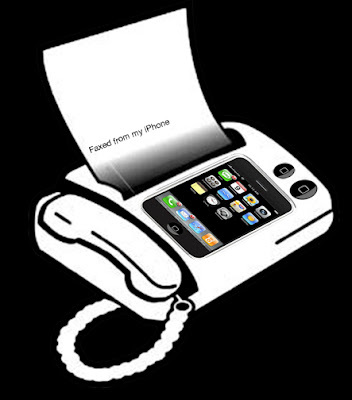 The beauty is they have a way to send faxes from your iPhone as well. And it comes in a FREE 30 day trial. Hmm, I guess its actually as easy as 1, 2. Let me also say that I know damn well this will work on any phone/PDA that can send an email, but I’ll be damned if I am gonna give up all that tasty iPhone traffic. On a side note, a nifty little fax prank that GNF does not condone goes as follows. Get yourself a sheet of black paper. Fax it to someone. They run out of ink. Mean right? So do not do it! On an entirely different subject, if you are interested in Scientology you can contact them at this number (727) 441-8849. Oh, wait never mind. That's their fax number. 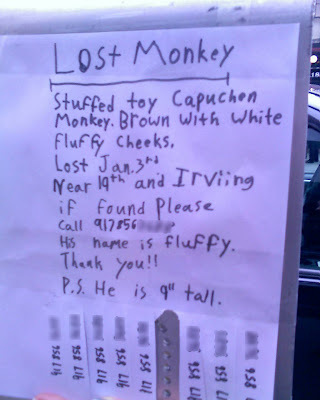 GNF fan 'Sunshine' spotted this ever so cute/sad sign on Irving (in NYC) and beamed over a pic. I blurred the numbers 'cause teh innernets am rufless. So if you've seen Fluffy contact me in the comments.